I noted in my last post that I was reading more. Well, two of the books I read were Alone Yet Not Alone by Tracy M. Leiningerand I Am Regina by Sally M. Keehn. They are the same story but written about different characters. It is the story of two sisters who became Indian captives, Barbara and Regina, who were taken from their family during the French and Indian War. They were separated and ended up with different tribes. I bought I Am Regina at a library sale and it has been sitting on my bookshelf for about four years. The story intrigued me. We might have finished Indian Captive: The Story of Mary Jemison as a read-aloud at this time, so this type of story was most likely still on my mind. Anyway, during a sale at Vision Forum a few years back I bought Alone Yet Not Alone because the story sounded interesting. After receiving it and looking at it more, I realized it was the same story as I Am Regina. So, I finally got to reading them. When I began reading them, it didn't occur to me that they would be written from each girl's experience. I read Alone Yet Not Alone first and after, wasn't sure if I wanted to read I Am Regina because it was the same story, but I decided to thinking that since this one was about Barbara the other book might be about Regina. Sure enough! Alone Yet Not Alone is the story of Barbara's capture. I Am Regina is the story of Regina's capture. They were both good books, but I felt Regina's story was better told as far as imagery, Indian life, and connecting with the characters go. I enjoyed reading Regina's story and felt myself feeling her pain, sorrow and even anger. The author of I Am Regina stayed true to their christian upbringing and included Bible passages within the text especially when things would trigger a memory. Alone Yet Not Alone I feel was written to the Christian as an encouragement that God is always with us even when we feel alone. In my simple and unhindered life, I cannot imagine the strength it took to hold onto that during this horrific time. It is only through God that they or we could get through the trials that we face in this imperfect life. The book was very encouraging in that respect. In Regina's story you can sense her anger about the death of her father and brother. Who wouldn't be angry! You can sense her worry about her mother and other brother who were not home at the time of the attack. During her captivity you can relate to her loneliness, her fear of saying or doing the wrong thing, the fear of the unknown as to what will this day bring, the joy of making friends, the sadness of losing friends, the hope of the war ending or soldiers finding and rescuing her, learning to trust her captors and eventually loving them as family. I found myself scared for her, crying with her, and also wanting her to be rescued, but at the same time torn between her new family and the one she was taken from. I can't imagine the emotional roller coaster she must have been on. Through Regina's story, you got to see more of Indian life, their beliefs, struggles, pain, fear, hurt...their humanity. Regina also got to see them as people and not as 'savages' as they were called back then. So, if you have read one of these books, I do recommend you read the other one too. Some of the details differ in each story, but the story line stays true in both. I just found out today that a movie is set to release of Alone Yet Not Alone in June of 2014 according to their Facebook page. Joni Eareckson Tada sings the song that shares the title of this movie. I would love to see a movie of Regina's story too. I created this piece of copywork a few years ago, but haven't put it up on Cynce's Place yet. I noticed there are a few others, so I will try to get those up soon. I created these for the kids a while back when I wanted them to go a little deeper than just copying verses. They are great for mini-devotions. Earlier this month we visited a museum in an adjacent town. I have been wanting to visit for years, but it has never happened. So, when I heard on the radio that they were doing a Follow the Shepherds Walk and that Don would be off, we made plans. The Explorations in Antiquity Center is a living museum of life in ancient times. They have archeological replicas of ancient biblical life. The Shepherds Walk was a tour through the events of the Nativity. I have a few pictures, but my camera died on me. My extra battery too. I might not have charged them long enough or else we need new batteries because the charge didn't hold very long. Our guide took us through Bethlehem and went into a little history as to why Joseph and Mary ended up there. It was interesting to note that she said Mary most likely walked. I hadn't heard that before. Even if Joseph couldn't afford a donkey, maybe someone else could have. I am so use to imagining Mary on a donkey, that it is hard to see it any other way. A replica of a manger which was hewn out of a stone wall in a cave. This stable was really small and we were told that it was more than likely there were no animals in the stable when Jesus was born. The guide also noted how the stable was the perfect place for a newborn to be born because of the temperature inside the cave. These are the wine presses. The olive press. This was interesting. I didn't realize how long the olives had to be pressed before use. It makes me wonder how much they got at a time or if they had multiple olive presses going at once in rotation. This wasn't part of the tour, but after the guided tour we were able to look around. This is the tomb. It was a pretty neat place. They also do digs for kids and have a Biblical meal where you partake of a meal from the time of Jesus. So, if you are ever in West Central Georgia, you will want to look this place up. I found another gem sitting on my hard drive. The Nutcracker Lapbook never got transferred over to Cynce's Place. I wasn't sure how to approach this lapbook. Should I do it on the ballet or on the actual story? Or, should I do it on the author of the original story? Well, I did a search on 'The Nutcracker Lapbook', and came across a lapbook on ballet and a unit study on the nutcracker. So, then I did a search on 'The Nutcracker Unit Study'. This search brought about many unit studies, free and for sale. Most, if not all, concentrated on the ballet. I wanted to go more with the story. I came up with a combination of the tale and of the ballet. It is focused on the story itself and how it evolved into a popular ballet today. These include author and composer biographies, country of origin for both the tale and the ballet, and more. I hope you enjoy your study on The Nutcracker and The Mouse King as I did researching it. Here is all the information I collected while preparing for this lapbook. Going through it, a lot of the links were dead. Yikes! I didn't want to go searching for new stuff, so I used the handy dandy archive I wrote about recently to find the dead links, only a few I couldn't retrieve. A Tribute to Tchaikovsky – In Pictures and Music – YouTube. History of the nutcracker, a tool used to crack nuts. Another site on the history of nutcrackers, a tool used to crack nuts. Classics for Kids tells the story of The Nutcracker. Approx. 6 min. Study Guide with a recipe for Sugar Plums. Yum! Study Guide with lots of information. Includes coloring, word search, mad lib and other activities. Nice source with lots to do in all areas of academics. There are also notebooking pages at the end. Maze of Clara looking for her nutcracker. Dance of the Sugar Plum Princess – listen to or download midi file. Also includes a video of the song being played on a pipe organ. Dance of the Sugar Plum Princess – This is too cool. It is played using bicycle parts!! Find the Nutcracker – The original page doesn’t work, but the Archive has a few of the pictures. These are a lot of fun, especially if your kids enjoy I Spy’s. Tip: Hold down the ctrl key and press the + key to make it bigger. Print it out if you do not want your kids straining their eyes on the computer. Some other activities to do while studying about the Nutcracker. As I was reading The Nutcracker and The Mouse King In Verse, which is included in the download, I came upon some words I did not know what the meaning was, like murther. So here is a list of words I think some kids might ask, 'What does ___ mean?'. Most, if not all, are taken from Webster's 1828 Dictionary. vengeance – The infliction (to apply) of pain on another, in return for an injury or offense. caressed – Treated or embraced with affection. carillon – A little bell. Also, a simple air in music, adapted to the performance of small bells or clocks. traversed - To travel or pass across, over, or through. To move to and fro over; cross and re-cross. tattoo – A beat of drum at night, giving notice to soldiers to retreat, or to repair to their quarters in garrison, or to their tents in camp. wainscot – In building, timber-work serving to line the walls of a room, being made in panels. quell – To crush, to subdue, to cause to cease. stagger – to move to one side and the other in standing or walking. sweetmeats – Fruit preserved with sugar; as peaches, pears, melons, nuts, orange peel and the like. barcarolle – a folk song sung by venetian gondoliers, or a piece of music composed in that style. Grab some popcorn or the goodie of your choice and enjoy! When the kids were younger, we really enjoyed watching Barbie in The Nutcracker. You can watch the movie and compare it with the Nutcracker and Mouse King and The Tale of the Nutcracker (Penguin Classics). There is a venn diagram in the download to compare the two. This will be a good time, as with any other Disney movie, to tell of the importance of reading the original fairy tales instead of taking Disney at its word. Nothing wrong with the Disney movie, but I think the kids should at least have the chance of hearing or reading the stories the way the author has written them. Here are More Nutcracker Movies for you to choose from. Sometimes I take for granted the fact that we are homeschooling. It is just a normal way of life for us. But for many, it isn't. And when I read about the struggles of families such as the Romeike family, THEN I remember to take a moment to be thankful for the freedom to homeschool. Although it is our right as parents, a God-given right in fact, we could be homeschooling with persecution at our door or in hiding. So, I am taking this time to say Thank you to God and country for the opportunity to homeschool my precious children. And I continue to pray for this freedom that we have. I am thankful for homeschooling because it allows us to be our children's sole teacher. I know there are and will be many teachers in their life, but my husband and I will be their first and sole teachers. I am thankful that we can choose what to teach the kids and when. They aren't at the mercy of grade levels. I am thankful that we can work on their weaknesses and build on their strengths. I am thankful that we are able to instill our values and principles in them. As a family, what we believe is important to us. We believe parents have that right to teach their children morals, character, and love of country how they see fit. I am thankful for Christian companies that put God first and whose purpose it is to strengthen and encourage homeschooling families. So, why are YOU thankful for homeschooling? Thou givest us, thy servants, each his life-work. I just got a heads up that A Journey Through Learning is now offering their downloadable lapbooks for only $4.50. They have many titles to choose from in categories such as history, science, animals, art, and more. Lapbooks are great as supplements to any core subject. They can be used to reinforce what was learned in a fun way. Once finished, your child will have a keepsake of what he or she learned. I still wish we did more lapbooks when the kids were young, but they just didn't click with us. Hopefully they will with you. What I have seen of A Journey Through Learning, I really like. 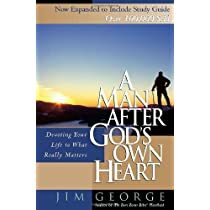 Donnie has begun reading the book, A Young Man After God's Own Heart by Jim George, during his Bible study time in the morning. Together, We go over the questions which is a great time to spend just him and me in God's Word. Well, you know me...it is SO much easier to write on notebooking paper than in the book, so I set out to transfer the questions onto paper. Now, I would like to share them with those who will be or are using the book. 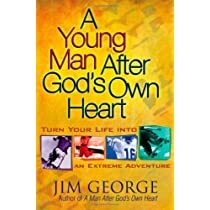 Jim and Elizabeth George are two of my favorite authors. 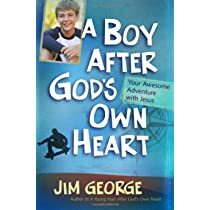 I love reading their books and now through Jim's boy and young man books, I can pass this wonderful author on to my son. Have you ever bookmarked a page from a website only to find months or years later that it is no longer available? It has simply been removed from cyber world for one reason or another! Screen shot of a website I use to own. What would you say if I were to tell you that you could most likely visit it again; go into the past so to speak? Sounds sorta like a time machine right? I will use my old website which is no longer active or online as an example. When you arrive at Archive.org, you will see this. The image is shown with my old url. Click Browse History. When you see this next image, choose how far you want to go back. I'll choose 2008. Once you click the year, a calendar for the year will show up. If the site was crawled, it will be highlighted with a blue circle. Now mind you, printables and sometimes images will not be functionable, but if it is content you are after, that will be there. The images on the archive of Albright News aren't showing and my downloads are not funtionable. This page is no longer what it was a few years back when I used it for reference. But, Archive.org has it captured, so I can still utilize it. Also, this might not work for all sites, especially those using java script, such as game sites, but for information purposes, it is great. Enjoy your trip into cyber world time! Beginning on Friday, November 1st, Pam from Doorposts will be hosting another month long Bible study. This one will be on Philippians 2. If you haven't joined in, you need to. Pam teaches you how to study the Bible inductively. If you are a subscriber to her newsletter, each day's study will be delivered to your inbox. You can also find the daily assignments via her blog or by joining the Facebook group. With the daily assignments, Pam also includes activities to do with your children. These “Thirty Days of Bible Study for Busy Busy Mamas” are purposely made short so that they fit easily into your day. I have enjoyed and benefited greatly from doing these studies. I hope you will join us. As preparation for the study, I formatted Philippians 2 so that I can print it and mark it up with my color pencils. You are more than welcome to use it. It is in the King James Version.